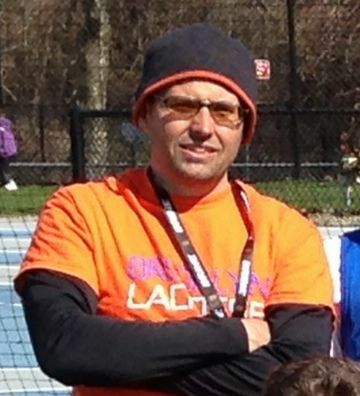 Andrew Simons is a parent of two Brooklyn Crescents athletes, playing for the 3/4 and 7/8 girls teams. He is a partner in the award winning graphic design firm emphas!s design and is an adjunct professor at Pratt Institute and CUNY Lehman College. He is a founding member and chairman of the Gowanus Canal Conservancy, a Brooklyn based environmental organization. Andrew was a high school mentor at the NYC High School of Art and Design for 12 years. Andrew attended Carlynton High School and Carnegie Mellon University, both in Pittsburgh, Pennsylvania.